This week we've got the amazing creator of Syfy's 'The Magicians' - Sera Gamble. 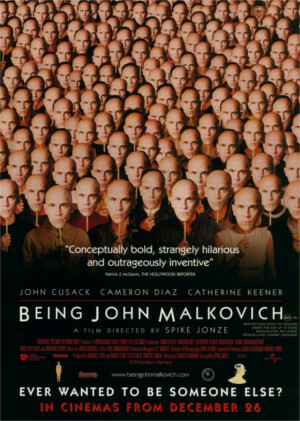 She's on to talk about the film that introduced the world to the mind of Charlie Kaufman - Being John Malkovich. Sera elaborates on her deep personal connection to the film. And admits it may have something to do with John Malkovich being her very first celebrity crush. She also takes April through the process of writing, and how often times the best way to write is by not knowing where you're going. They celebrate the performances of Cameron Diaz, John Cusack, and Catherine Keener - and also Cameron Diaz's phenomenal wig! They dissect the writing of Charlie Kaufman and how he came to create one of the most unique screenplays of all time. Sera connects the lessons she's learned from this film to her own work, and how she takes great pleasure in making the audience squirm. The Magicians is on Syfy now. With April Wolfe and Sera Gamble.